Buying first BEST Beginner Electric Guitar. What to know? - Little Corner of @ Music Lover Buying first BEST Beginner Electric Guitar. What to know? You are here: Home / Guitar lovers / Buying first BEST Beginner Electric Guitar. What to know? It’s always the first and important step for electric-guitar-beginners to get their first “right” BEST electric guitar. Because that guitar will follow us through our first stage in guitar world. You know that since you’re reading this topic and haven’t yet picked a guitar randomly in a store, on the internet or recommended by some friends. And it’s a right step. This article will give you some essential information such as types of guitar parts, popular beginner models and brands as well as the price tag included, et cetera. In short, the critical information you need to know before picking an electric guitar. You should note that a Stratocaster uses floating bridge which is not easy for beginners. And, bolted neck means you can replace the neck. Those features above can be a little bit different with later models. 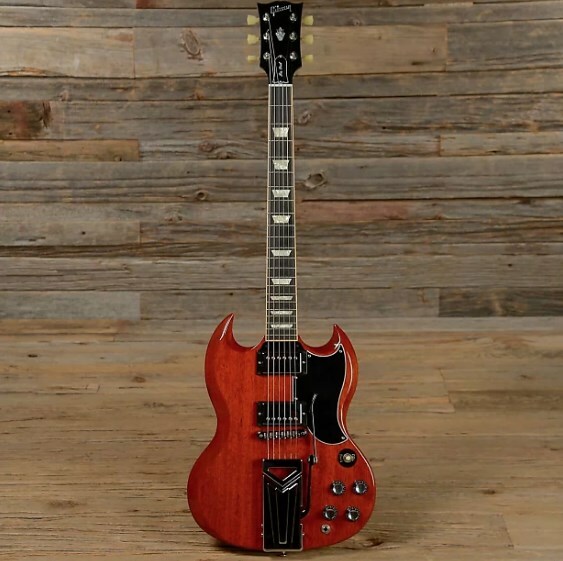 Gibson later developed well-known SG model based on Les Paul which is lighter, has double cut away, uses humbuckers or P90 pickups, et cetera. SG and those three models above are great start for beginners. However, with Stratocaster, It’ll be more complicated and you can’t have new one with budget under $500. The rest Telecaster, Les Paul (Epiphone), SG all have models whose price lay under $500, especially Les Paul of Epiphone. Epiphone Les Paul 100 for about $280. Epiphone SG may costs a little more, Epiphone SG Special costs about $180 new. If you didn’t understand much about electric guitar features above, read on, I explained below. But, that means you’re a real beginner, let’s hear my notices first. What music genres do you prefer? In fact, you can play any genres of music with any types of electric guitar. There’s no need to limit yourselves with some specific music genre playing guitars. Let’s just focus on which tones and sound you like. For instance, you like bright clean tones or dark, deep tones. If a guitar is popular with specific genres of music, it’s just a way for you to guess what kinds of sound it offers and vice versa. How Much Should A Beginner pay for a guitar? Many people buy an electric guitar or a guitar pack for $100 – $150 from Amazon, Walmart or some big stores. 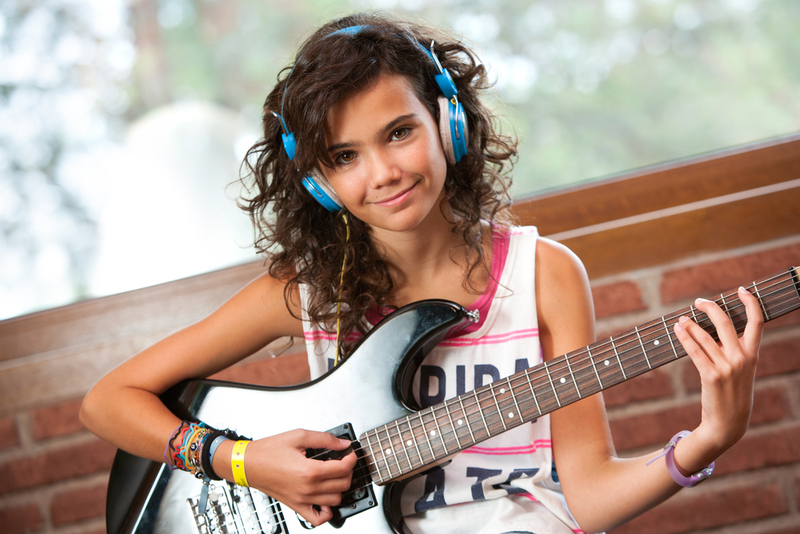 However, a decent electric guitar for beginners should start from $300 – $500. If you can’t afford that, $150 – $300 is acceptable. Below that is mostly no good. Because you get what you pay for. Cheap guitars are mass produced with many defects and flaws. It can make your first learning guitar experience frustrating (more pain on the finger, the sound isn’t quite right, etc.). It also won’t have good sale back if you quit. Moreover, after a short time of playing, you’ll have an urge of buying a new good one. To sum it up, buying cheap guitars in any ways will cost you more, your enjoyment or your money. I didn’t mention style of the guitar, did I? Yes, you also have to note what kinds of look you want for your guitar such as classic or modern. But, you can’t get all you want in a guitar. So, rank it. The sound, the look, the price, what is your priority? With me, and I recommend that the priority should start with the sound, the price and the look. Don’t buy a guitar which you need immediately upgrade any parts after buying. Don’t confuse yourself with too much information. Buying a cheap electric guitar and upgrading a part of it right after that such as string, pickup will make you have to dig deeper information without experiencing playing guitar first and affect your playing time. So choose one you don’t need to upgrade anything before playing it for a while. After knowing your preferences, you should know that everything must start from the basic. Just like color pallet, you have to know the basic colors before mixing and learning the new ones. So, don’t search for all the things about types or kinds of guitar, it’ll make you confused. Don’t search for your favorite guitarist’s gears either.Because most of them have their guitars individually designed or set up uniquely with their own styles. So, let’s start with the basic and create your own styles. It’s the end of my notices. Here come the guitar feature explanation. What Is The First Basic Thing We Should Know? Guitar parts. Each part of an electric guitar play a role in its function and have various types. But, what we need to pay attention is the body and the pickups. Solid body electric guitar has a solid body which doesn’t play big role in sound making of the guitar as the body can’t receive much vibration from the strings. In short, its body is much less resonant than hollow and semi-hollow body. As a result, this type of guitars have tremendously number of different shapes. It fact, it is the most common electric guitar available on the market. Hollow body electric guitar has body like acoustic guitar. Therefore, it offers acoustic-oriented sound which is more neat and cleaner. Of the three, it is the most susceptible to feedback which is still a common problem for most players. So, it’s not a good choice for beginners because controlling feedback needs skill. The semi-hollow body is the mix of the solid and the hollow. It has a solid block of wood running through its body. Like solid body electric guitars, it offers great versatility of sound. However, it produces specific warm and rich tone which the solid and the hollow don’t have. Sensitive to feedback remains a problem in the semi-hollow but it can be controlled easier than the hollow. First thing to notice, the biggest downside of the semi and the hollow is its susceptibility to feedback while with the solid, feedback is not a problem and it also gives greater sustain. Second, the solid is heavier of course but it’s much less delicate than the semi and the hollow. Third, the semi-hollow is versatile just when you know how to set up it with pickups, amp, et cetera. And, one final vital thing to mention, the price of the solid is cheaper. The price of a semi or a hollow is from $500. You don’t have many choices under $500 and no choice under $300. Epiphone and Ibanez are two famous brands which produces a few (or one) semi and hollow models under $400. For instance, you can get Epiphone Dot Studio Semi-Hollow and Ibanez Artcore AF55 Hollow for about $329. In conclusion, unless you’re really into a semi or a hollow to play jazz, folk or blue, et cetera, a solid body is a better choice for beginners. Simply speaking, pickups produce sound of an electric guitar. Different pickups as well as its different set up offer different sound features. Till now, there have been two different basic kinds of pickups which are used popularly – Single Coil and Humbucker. Humbucker is actually pickup with two coils. Single Coil Pickups give a bright, neat, clear and light sound while Humbucker offer heavier, darker and rounder sound. 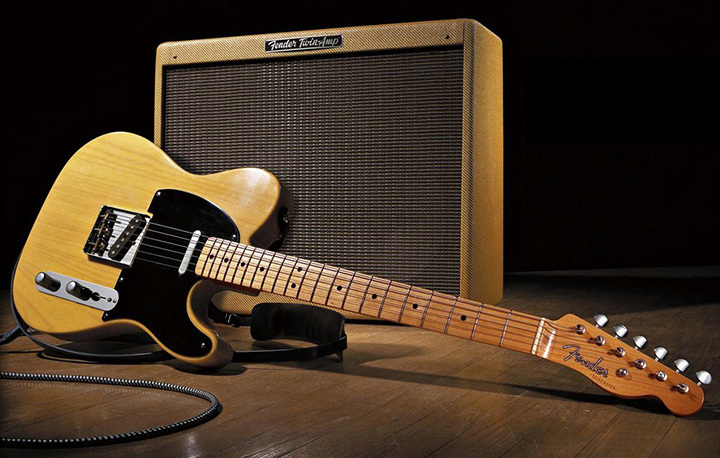 As a result, electric guitars with humbuckers tend to be played in rock or some heavy music while Single Coil is much popular with jazz, blue or country. Classic Stratocaster with Single Coil pickups is famous with its neat and clear ‘twang’ sound. You can be creative with pickups, replace or upgrade your pickups or even change the pickup combo. For instance, people often set up HSH pickup combo for sound versatility. However, you should ‘play’ with pickups after playing for a while. This time is to experience ultimate pickup setups from the manufacturer which are played for decades by many players. What About Wood, String and Fret? Unless you have budget big enough for a Gibson, you don’t have to worry about types of wood. Solid wood which is one whole piece of wood is just used in make high end best electric guitars. Normal guitars use laminate wood which is small pieces of wood glued together. And which types of laminate wood (mahogany, rosewood, maple, et cetera) used in low budget electric guitars don’t affect much the tone. If you’re looking for 6 strings, 7 strings or even 10, 12 strings electric guitars, go for the six strings. It’s simply because common and normal electric guitars have 6 strings. The last thing is fret, frets affect you playability and rest assured that the manufacturer has already covered your fundamental needs of frets. Decrease or increase number of frets after you play for a while and feel like doing so. With beginners, fixed bridge is recommended since it’s easier to tune and more stable while floating bridge with a whammy bar (tremolo) can be frustrating. Moreover, guitars with floating bridge tend to be more expensive. There’s no denying that looking cool is awesome. So, if you’re looking for an electric guitar with exceptional and modern shape and budget-friendly, B. C Rich might be your choice. It is a brand specializes in solid electric guitar for rock or metal. B. C Rich makes some cool guitar shapes such as mockingbird, warlock, warbeast, flying V and you can find these (maybe not flying V) with price from $300 – $500. ESP is also another choice for you, design of ESP electric guitars are tended to be colorful and different. However, if you look for famous classic brand for modern stylish looking guitar with friendly-budget, there might be surprise such as Epiphone Goth “1958” Explorer with price of about $400. Those are some basic information you need to know when choosing your first best beginner electric guitar. During your consideration, if you fall in love with one particular guitar or just feel so much comfortable with it then choose it. All specific details are all irrelevant when a guitar speaks to you. But, just keep in mind those BEST electric guitar for beginner above and know what you prefer so that ‘that’ guitar has a chance to speak to you.